I love the opportunity for a fresh start after ringing in a new year. For 2017, I'm skipping the goals and resolutions and opting for a simple intention for the year. Do better. 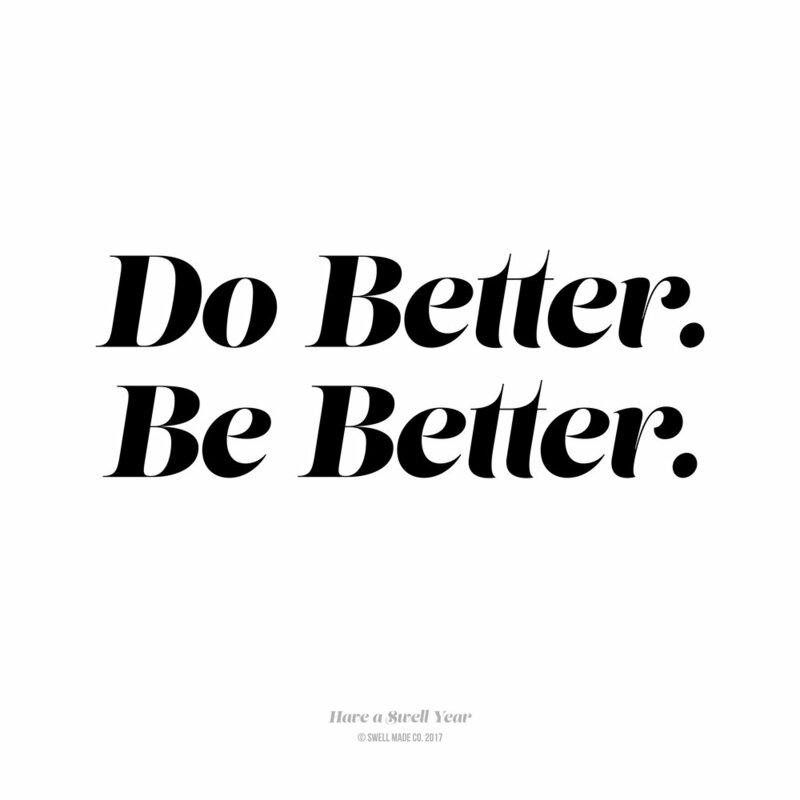 Be better. 2016 was a tough year for the world. Icons lost, denied victories, cities and lives distinguished. It's easy to feel helpless or think inward as the world shifts, but everyday is a chance to be better and there are 365 of them! 2017 is a good year to simply be better in small, but meaningful ways. 2016 was kind to me in many ways, which I am extremely grateful for (your support, adventures, family time, business and personal growth, new friends); but there's always room for improvement, right? I want to be better. A better mom. A better wife. A better friend. A better business owner. A better member of my community. A better designer. To be thoughtful in my effort to make small changes that have a positive, collective impact. To be better for myself, and others. I don't expect to be better at all of those things at once, or even in 2017; but it's worth creating the foundation for purposeful living that will endure. That's my intention for the year. Whatever your goals, resolutions or intentions are, I hope you have a golden year in 2017. They can be simple. Don't stress. Be kind to yourself too. Good goals are flexible; because, that's life. Being flexible and having an open mind will allow you to seize unexpected opportunities that a new year might hold. If you'd like to hang this simple reminder in your space, download a free printable here. You can frame it, washi tape to the wall, or simply pin it on board. In 2016/2015, I created a free printable (dateless) calendar. You can still grab it here! Happy New Year, swell friends!